The village is served by Burnham railway station (actually in western Slough) on the main line between London Paddington and Reading. The M4 motorway passes through the south of the parish. The toponym is derived from the Old English for "homestead on a stream". It was first recorded in the Domesday Book of 1086 as Burneham, when the manor was held by Walter FitzOther. Burnham was once a very important village. The road from London to Bath (now the A4) passed through the extensive parish of Burnham and as a result, in 1271, a Royal charter was granted to hold a market and an annual fair. However, when the bridge crossing the Thames in Maidenhead opened, the road was diverted away from Burnham, which fell into relative decline. The market was then transferred to Maidenhead. Today the village is nearly contiguous with west Slough, though green-buffered by parkland. At the 2011 census the civil parish had a population of 11,630 and Burnham is the traditional village nucleus. The Church of England parish church of Saint Peter dates in part from the 12th century but has been substantially expanded, refurbished and altered, with major restorations in 1863–64 and 1891 and the construction of the Cornerstone Centre in 1986. In 1265 a Benedictine women's abbey was founded near the village by Richard, Earl of Cornwall. The community was dispersed under King Henry VIII in the Dissolution of the Monasteries. Since 1916, a contemplative order of Church of England Augustinian nuns has been based in the restored remains of the original abbey. The parish of Burnham included a number of communities: in the 18th century the liberties assessed for the poor rate were Burnham Town, East Burnham, Boveney, Britwell, Cippenham and Wood. Boveney became a separate civil parish in 1866 Cippenham was transferred to Slough in 1930, and therefore became part of Berkshire in 1974. Britwell was transferred to the borough of Slough and to Berkshire in 1974. The current civil parish now includes Lent Rise, Rose Hill, East Burnham, Hitcham, Littleworth and Littleworth Common. Burnham Grammar School and The E-ACT Burnham Park Academy provide secondary education to the children of Burnham and the surrounding area. Many students, however, commute to the nearby secondary schools in Slough. Priory School is the largest primary school in the area and provides primary education for many of the local children, although the smaller "Our Lady of Peace" Roman Catholic primary school is next to Priory School. The village has a traditional High Street, with many buildings dating from the 18th and 19th century. There are two small supermarkets and six pubs on or near the High Street, and many small independent cafes and shops. At the south end of the High Street is a large park, which contains the community centre of Burnham Park Hall and a small public library. Burnham Football Club is a Non-League football team that plays at The Gore. Burnham has a Local nature reserve on the eastern border of the village called Haymill Valley. Burnham Beeches National Nature Reserve, an area of 540 acres (220 ha) of protected ancient woodland, lies just north of the village. Owing to its proximity to Pinewood Film & TV Studios, Burnham and its surrounding areas (in particular Burnham Beeches) feature in films, notably main scenes in Carry On films and for the 1991 film Robin Hood: Prince of Thieves. The major National Trust estate of Cliveden is about three miles northwest, in the neighbouring parish of Taplow. Dorneywood, currently the country home of the UK Chancellor of the Exchequer, is in Burnham parish. The River Thames is about two miles south and west of the village centre. The major rowing venue of Dorney Lake is nearby. There are three golf courses (Huntswood, Lambourne, Burnham Beeches) to the north and west of the village. The village has very good transport links. In addition to Burnham railway station (future Crossrail) and the nearby M4, the Chiltern Main Line and the M40 are accessible about 4 miles north at Beaconsfield. Heathrow airport is about 8 miles east. Lord Grenville (Prime Minister 1806-07) built Dropmore House to the north of the village. ^ Warminster, Phil; Wiltshire, Devises. "Old English Translator - Contact me". Old English Translator. lue Engine Web Development 2008-2017. Retrieved 8 October 2017. ^ GB Historical GIS / University of Portsmouth, Boveney Ch/ParLib/CP through time | Census tables with data for the Parish-level Unit, A Vision of Britain through Time. URL: http://www.visionofbritain.org.uk/unit/10093508 Date accessed: 23rd April 2016. ^ "Magic Map Application". Magic.defra.gov.uk. Retrieved 16 April 2017. Page, W.H., ed. (1905). "House of Austin Nuns: 14 the Abbey of Burnham". A History of the County of Buckingham. Victoria County History. 1. Archibald Constable & Co. pp. 382–384. Page, W.H., ed. (1925). "Burnham with Lower Boveney". A History of the County of Buckingham. Victoria County History. 3. pp. 165–184. Pevsner, Nikolaus (1960). Buckinghamshire. The Buildings of England. Harmondsworth: Penguin Books. pp. 77–79. ISBN 0-14-071019-1. 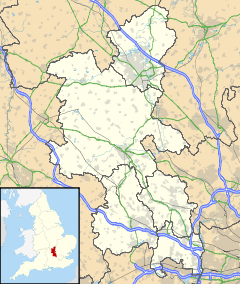 Wikimedia Commons has media related to Burnham, Buckinghamshire. This page was last edited on 16 February 2019, at 23:41 (UTC).